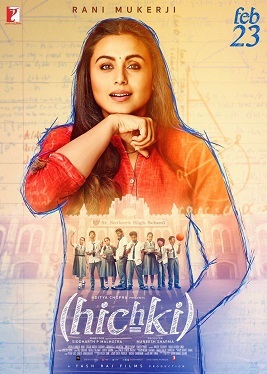 Rani Mukerji has decided to start Hichki promotions in Ahmedabad in India on the day of Makar Sankranti, which is celebrated in January and is one of the most auspicious festivals of the Hindu calendar. An extremely special film for the actress, it’s Rani’s first film since motherhood and a beautiful story about overcoming weaknesses in one’s life. Rani wants to kick-start the promotions for the film on a very auspicious note and she has befittingly chosen the day to start the campaign. The day celebrates the sun’s journey into the northern hemisphere, a period which is considered to be highly auspicious. “Rani wants to start her promotions for Hichki on Makar Sankranti, an extremely holy day. The festival is dedicated to the Sun God, and it marks the beginning of a six months auspicious period known as Uttarayana. It is a day to pray and thank for success and prosperity. It couldn’t have been a better day to start promotions,” says a source. Rani is set to travel to Ahmedabad and interact with students and audiences for promotions. “There are a slew of activities that have been planned. The team wants to drive home the messaging of the film right from the start. Ahmedabad is the first city that Rani is visiting. She will visit 8 more cities to promote Hichki aggressively,” the source adds. As a custom in Gujarat, the colorful kite flying festival will take place on Sankrant, and the rooftops of Ahmedabad will come alive with beautifully designed, bright kites. Rani will fly a kite as part of the promotions, while interacting with local media. The acclaimed actress plays the role of Naina Mathur who has a nervous system disorder, Tourette syndrome that forces an individual to make involuntary repetitive movements or sounds. Hichki focusses on turning disadvantages into opportunities and staring down at challenges that life throws at one and ultimately winning over them. Directed by Siddharth P Malhotra and produced by Maneesh Sharma, the heart-warming movie is set to release on 23rd February 2018.